TASS, February 5. Eleven out of 14 countries of the Lima Group have called on the Venezuelan military to show loyalty to interim president Juan Guaido, the organization said in a statement published by Canada’s Global Affairs. The members of the Lima Group - Argentina, Brazil, Canada, Chile, Colombia, Costa Rica, Guatemala, Honduras, Panama, Paraguay and Peru - "reiterate their recognition and support for Juan Guaido as the Interim President of the Bolivarian Republic of Venezuela as per its Constitution." The countries "call upon the National Armed Forces of Venezuela to demonstrate their loyalty to the Interim President in his constitutional functions as their Commander in Chief. 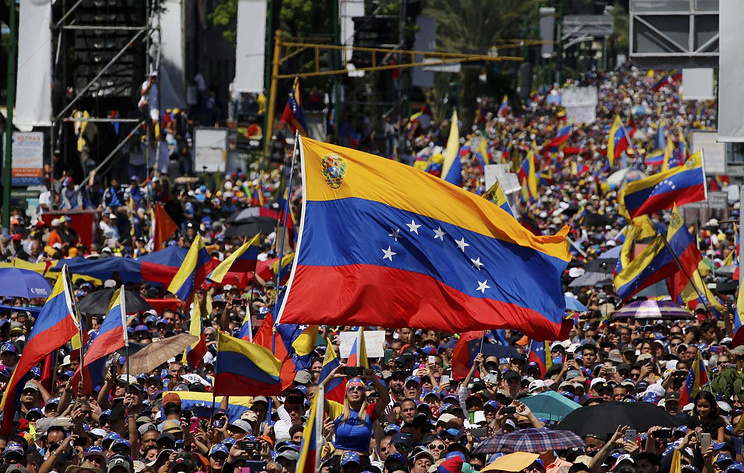 Similarly, they urge the National Armed Forces not to impede the entry and transit of humanitarian assistance to Venezuelans," the document said. Other members of the group - Mexico, Guyana and Saint Lucia - did not back the call.